NODE brings the best in Australian Motion Graphics and Animation together to share their work, industry insights and creative inspiration. This ident imagines the Digital made Physical, to representing the motion community coming together for this event. 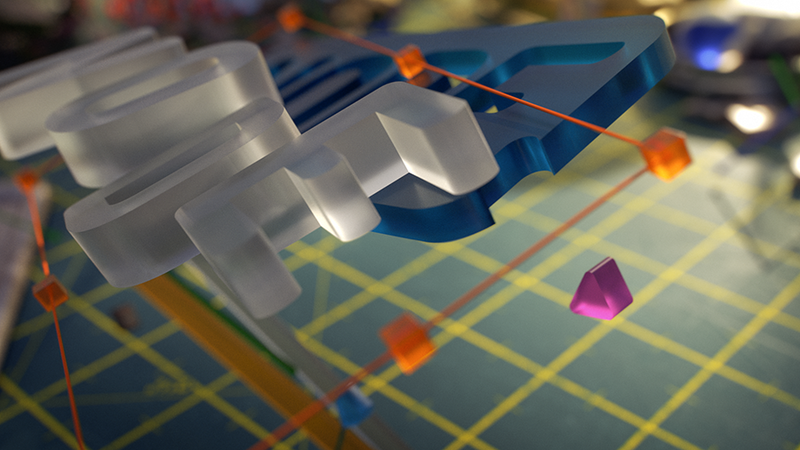 Also forming is a stop-motion re-construction of the Node logo using some “real life” keyframes, axes, nodes, nulls, bounding boxes… even a timeline. 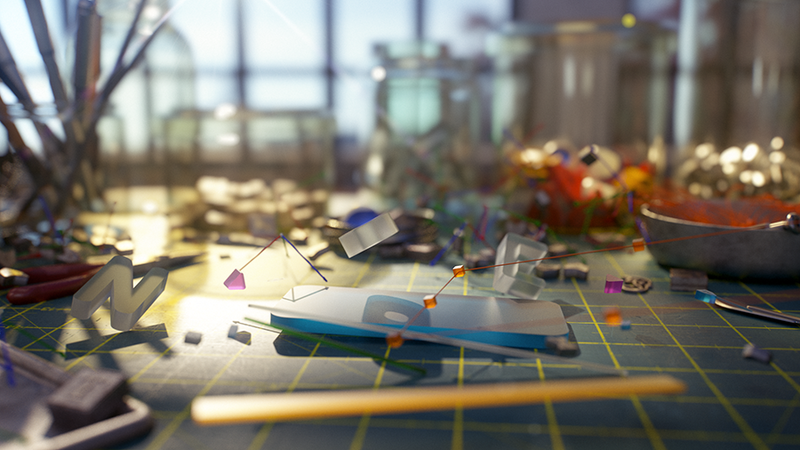 Of course, there are some very useful tools we can use to put the pieces together, and you’ll catch sponsors Adobe & Maxon logos in there (as well as a couple more if you know what you’re looking for!). Being physical we also needed some paperclips, pliers, and other useful implements to assemble the pieces scattered around the work bench. 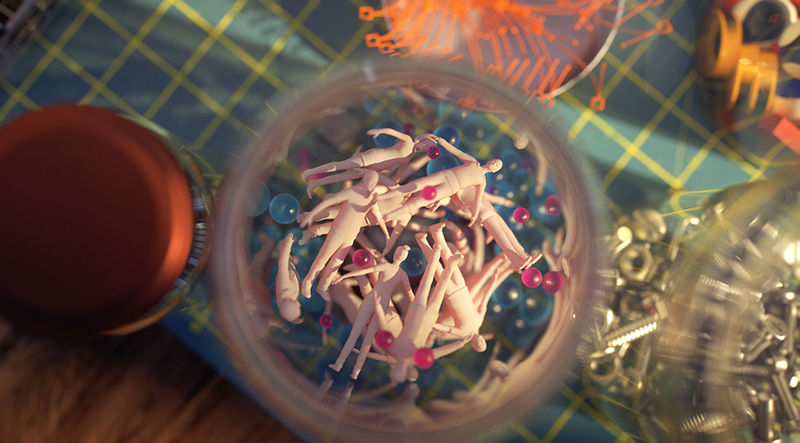 We couldn’t resist adding some tiny human figures and spheres – ingredients in a lot of C4D+Octane renders! 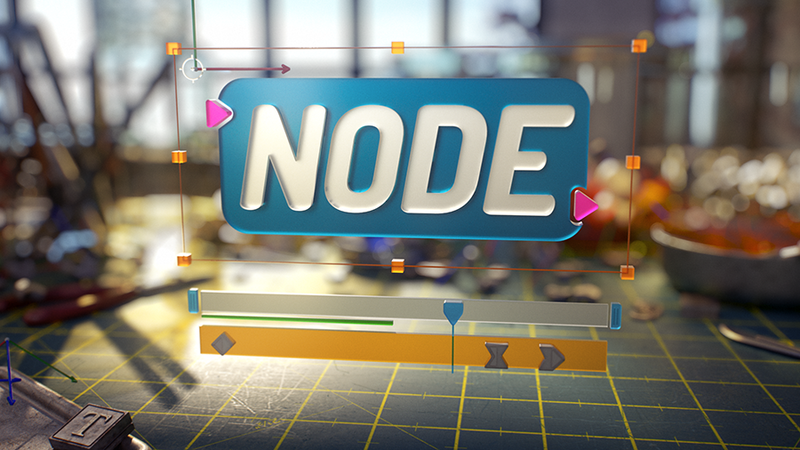 It was a pleasure to contribute to Node both with the ident and presentation.